The Australian Art Orchestra (AAO) is acclaimed for its musical inventiveness and openness to collaboration. Their Meeting Points series, a highlight of this year’s OzAsia Festival, comprised three unique and captivating performances: Seoul Meets Arnhem Land: Ecstatic Voice, for voices and percussion; Cocoon, for guzheng and chamber ensemble; and Scary Beauty, an opera with an android as the solo vocalist. AAO composer/trumpeter Peter Knight tells me that the AAO’s strategy is to establish “spaces of potential” for musicians from around the world, and for OzAsia 2017 it focused on meeting points between Asian, Indigenous and Western music. Such collaborations, which are workshopped through the AAO’s annual intensive program, produce significant developments in composition and performance. The three works in this Meeting Points series, each of about 35 minutes, are unique and wonderful world firsts. Featuring Bae Il Dong (South Korea), Daniel Wilfred (Arnhem Land) and Jenny Barnes (Melbourne), Seoul meets Arnhem Land: Ecstatic Voice is a unique exploration of the power and the traditions of the human voice. The concert juxtaposes two of the world’s most distinctive vocal practices: Yolngu manikay from Arnhem Land and South Korean p’ansori or street opera. 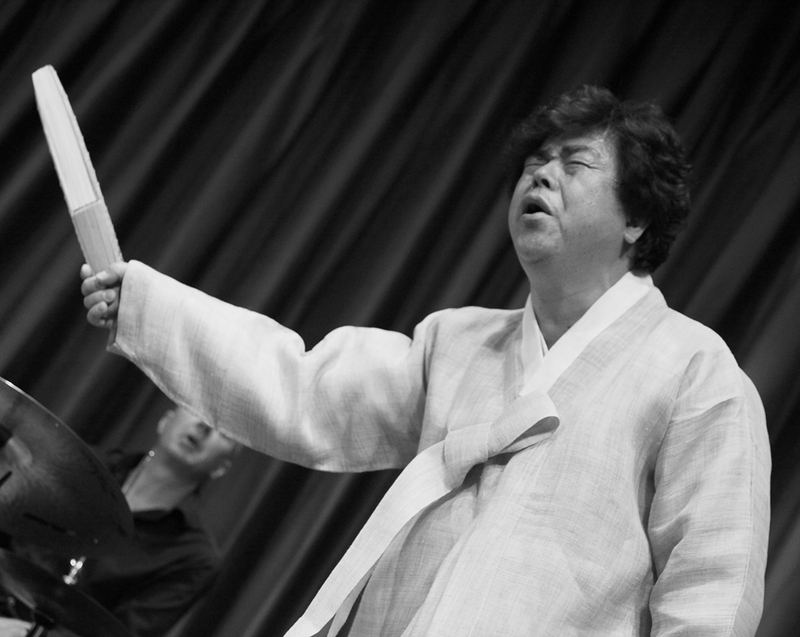 Bae Il Dong and Daniel Wilfred were joined by vocalist Jenny Barnes, whose Western experimental vocal practice recalls Cathy Berberian, and drummer Simon Baker. P’ansori singers spend years developing their voices outdoors, using techniques such as singing into waterfalls to develop their power. UNESCO has declared p’ansori a Masterpiece of the Oral and Intangible Heritage of Humanity and South Korea has declared p’ansori a National Intangible Cultural Property. 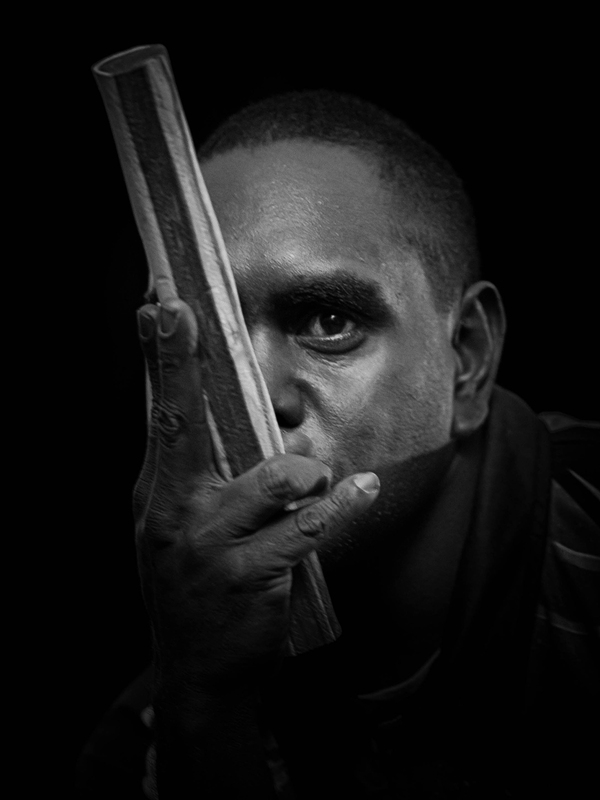 Yolngu manikay is one of the oldest musical traditions still practised, and like p’ansori is about story-telling. Drawing on pre-existing forms and motifs, the three performers alternately sang solo or together, generating a visceral response as we felt the ecstatic power of the voices deep inside us. Significantly, Seoul meets Arnhem Land: Ecstatic Voice brought out the essential features of both manikay and p’ansori oral traditions rather than creating any kind of diluting hybrid. Heard and seen together, we appreciate how important it is to preserve the forms. The addition of Barnes’ unique oeuvre added to the effect by demonstrating an even wider range of vocal techniques and concepts. Peter Knight told me that there was a natural rapport between the three singers when they began their collaboration, and an organic, spontaneous vocal arrangement emerged. This concert is an exhortation to maintain our significant oral traditions and above all to experience them in the presence of the singers. 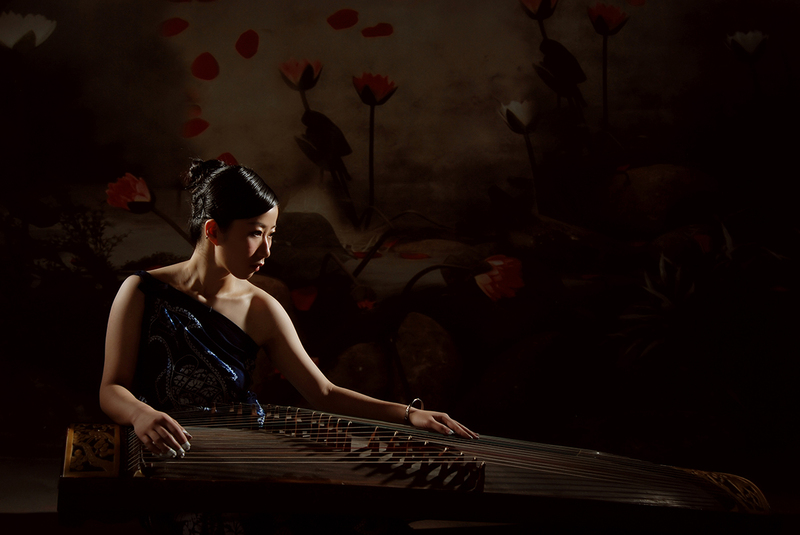 Guzheng virtuoso Mindy Meng Wang‘s Cocoon, her first major composition to feature the guzheng with a chamber orchestra, is an autobiographical musical journey that takes listeners across half the world. Wang’s enchanting work traces her life musically from her childhood in Lanzhou, which lies on the Silk Road, to her subsequent involvement in the new music scene in London and her arrival in Australia in 2014. Scored for guzheng, violin, bass, electronics, brass, shakuhachi and percussion, Cocoon shifts through many styles, from the music of the Uighurs of Western China to Chinese royal court music to jazz, and includes field recordings of Tibetan monks chanting. There are monastic gongs and the sound of the kind of frame drum common across the Middle-East. We feel as if we’re traversing the countries that lie along the Silk Road and hearing Asian-inflected Western music along the way. Orchestrated by the AAO’s Jem Savage, Cocoon is wonderfully coherent and engaging musically, despite the frequent shifts in musical style and genre. Starting with the gentle sound of the solo guzheng, a series of musical forms unfold. The sound of the Tibetan horn, produced by the bass trombone, competes with jazz saxophone as if the composer is being pulled musically in different directions. All kinds of musical dialogues develop between instruments and cultures. The bass trombonist, Adrian Sherriff, who doubles on shakuhachi, is outstanding in this performance and his dual role also embodies an East-West musical duality. The video Silk Road Metaphor, made jointly with dancer Victoria Chu, depicts some of Meng Wang’s travel and research for Cocoon. Cocoon is the first element of what will be a longer work entitled “I am the Silk Road,” a trilogy that “chronicles the past/origins, the present/transformation and the future/evolution.” She says that the first part, Cocoon, intended to symbolise origins, gestation, tensile strength and growth, responds to the ancient Silk Road cultures and ethnic tribes from North West China. Mindy Meng Wang is looking for a new identity where East meets West and for there to be acceptance of the differences between them. Can a startling vision of the future be found in an opera? Scary Beauty is a short operatic work for android and orchestra by Japanese composer and pianist Keiichiro Shibuya, featuring an android named Skeleton that has neural networks corresponding to human ones. Shibuya composed three songs to be performed by Skeleton with the Australian Art Orchestra, and developed the work as the next logical step beyond his vocaloid opera The End It is not unusual today for vocalists to be accompanied by electronic devices, but Scary Beauty’s inversion of this paradigm, to require an electro-mechanical vocalist to be accompanied by humans, reminds us that fully autonomous androids may one day be members of society. The opera’s title reflects its dual character — it is both frightening and beautiful. The orchestration combines strings, brass, piano, percussion and tape loops to produce music expressing the emotions normally associated with opera. Shibuya conducts from the piano, next to which Skeleton stands in red robes and Doc Martins. Skeleton’s voice suggests some human characteristics — it can be soft, loud or breathy — though for the third piece, it’s distorted. The android’s actions are driven by algorithms based on emergence theory and chaos theory giving it control over its limbs and facial expressions. Electronic sensors detect and process the pitch and amplitude of ambient sound, light and movement to generate autonomous and very realistic gestures and expressions. 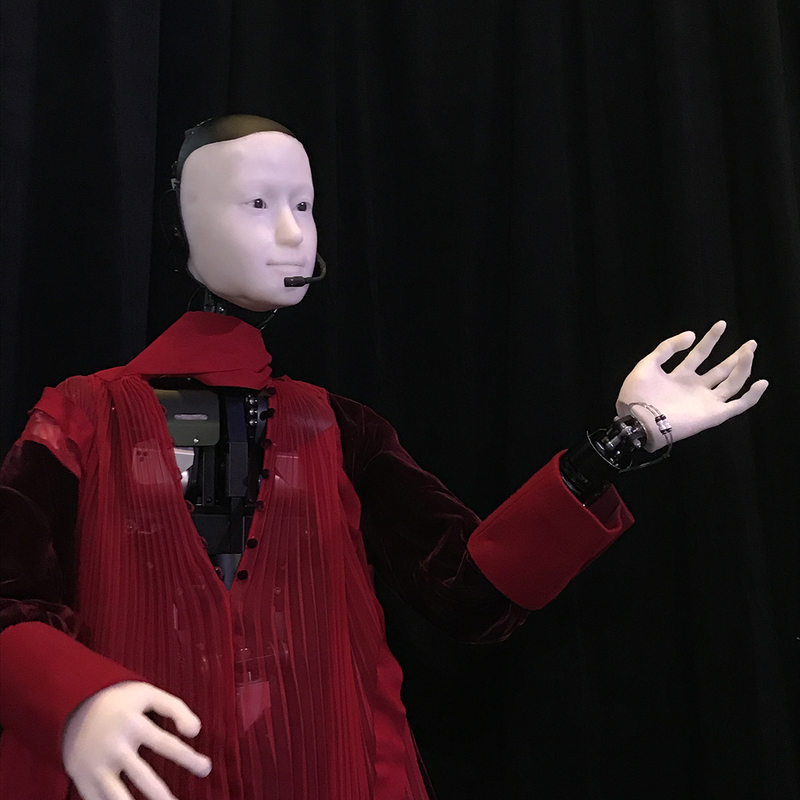 By comparison, the experimental Swiss-designed robot conductor Yumi was not designed to respond to external stimuli. Yumi seems little more than an evolved metronome. Though by no means a full-scale opera, Scary Beauty is a fine composition that would still work wonderfully if a human singer were substituted for Skeleton. Shibuya has set to music compelling texts selected from Michel Houellebecq’s The Possibility of an Island, which considers a future world that includes human clones; Yukio Mishima’s The Decay of the Angel, which muses on a deteriorating society, one of his last works before he committed seppuku; and William S Burroughs and Brion Gysin’s The Third Mind, a cut-up novel. The articulation of these texts by an android amplifies these writers’ concerns and the work may be seen both as a prediction and a warning. Skeleton is the creation of Professor Hiroshi Ishiguro and his team at Osaka University’s Intelligent Robotics Laboratory. The presentation of Scary Beauty formed a central element of the 2017 Australasian Computer Music Conference program as well as the OzAsia Festival. In a discussion session (part of Adelaide’s Open State Festival), the conference’s keynote speaker, Professor Takashi Ikegami of Tokyo University, joined Shibuya, the AAO’s Peter Knight, OzAsia Artistic Director Joseph Mitchell and Kohei Ogawa of the Intelligent Robotics Laboratory in a talk on Scary Beauty. The discussion ranged around the future of android development — could an android go beyond autonomous physical and facial expression and develop emotional sensitivity, empathise with humans, demonstrate artistic ability and perhaps coexist with humans on equal terms? In short, could androids replace humans in a post-Anthropocene world? To answer such a question, robotics research must consider what a human being really is psychologically and emotionally and must consider what elements of human society we value and how they might be retained in the presumably inevitable post-Anthropocene era to come. Unless we can define what makes us human, we cannot protect and maintain our humanness. The AAO’s Meeting Points program demonstrated the potential of music to highlight the most fundamental issues of contemporary life. In a post-Anthropocene world, how would the intangible heritage of Korea, Arnhem Land and the Silk Road be retained and appreciated?